When designing a website, many of us just neglect the error pages considering them insignificant. But the fact is many visitors come across these 404 error pages either because of typing a wrong URL or due to any other number of technical reasons. 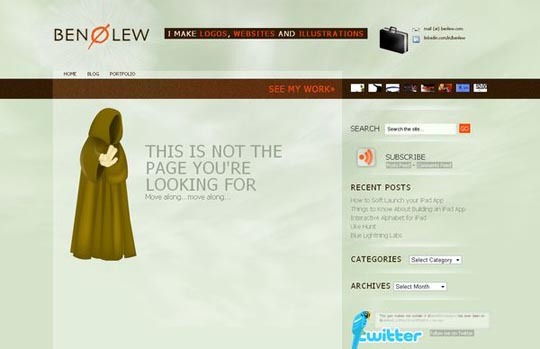 Below you’ll find some of the most entertaining 404 error pages on the web. I love some of the idea and designs behind these 404 pages, doesn’t stop them from sometimes annoying me when I actually encounter them though. Can sometimes seem like making light of errors in the website. 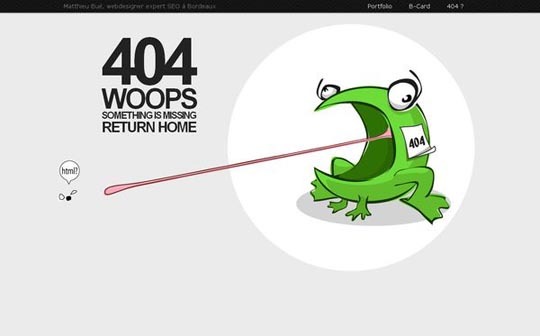 For more cool 404 error pages, visit http://www.bonjour404.fr every morning a new one!